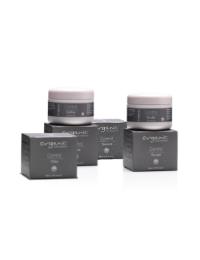 Control Styling - Organic Colour Systems Ltd.
Non-aerosol, strong hold and a natural look. For beautiful styling with a gorgeous healthy shine and long lasting hold. Organic Colour Systems Control Styling is our range of natural styling products, designed for professional use. We don’t believe in using aerosols, nor other harsh chemical ingredients, that’s why we developed our class-leading range of styling products which give outstanding finish and shine. From a stand out heat protection product, to volume, to a textured matt finish, the Control Styling range has it all. Complete range of professional styling products. Water soluble – Wash out easily. Tame frizz without drying hair out. Over 10 products for every need. Refill options available. Gluten free Wheat Protein – Prevents damage caused by heated appliances and enhances hair gloss. Orange Peel Extract – Anti-inflammatory. Organic Grapefruit Extract – Invigorating and refreshing properties. Natural Seaweed Extract – Glossing agent. Sunflower Seed Oil – UV absorber. Organic Marigold Flower – Promotes skin repair and healing. Introducing the newest addition to our Control Styling range.